2-stroke and 4-stroke engines operate under different conditions, requiring different lubrication methods. Internal combustion engines are used to produce mechanical power from the chemical energy contained in hydrocarbon fuels. The power-producing part of the engine’s operating cycle starts inside the engine’s cylinders with a compression process. Following compression, the burning of the fuel-air mixture releases the fuel’s chemical energy and produces high-temperature, high-pressure combustion products. These gases expand within each cylinder and transfer work to the piston, producing mechanical power to operate the engine. Each upward or downward movement of the piston is called a stroke, and the two commonly used internal combustion engine cycles are the two-stroke cycle and the four-stroke cycle. The terms "two-cycle" and "two-stroke," as well as "four-cycle" and "four-stroke," are often interchanged. The fundamental difference between two-stroke and four-stroke engines is in their gas-exchange process, or more simply, the removal of the burned gases at the end of each expansion process and the introduction of a fresh mixture for the next cycle. A two-stroke engine has an expansion, or power stroke, in each cylinder during each revolution of the crankshaft. The exhaust and the charging processes occur simultaneously as the piston moves through its lowest or bottom center position. In a four-stroke engine, the burned gases are first displaced by the piston during an upward stroke, and a fresh charge enters the cylinder during the following downward stroke. Four-stroke engines require two complete turns of the crankshaft to make a power stroke, compared to the single turn necessary in a two-stroke engine. Two-stroke engines operate on 360° of crankshaft rotation, whereas four-stroke engines operate on 720° of crankshaft rotation. Two-stroke engines are generally less expensive to build compared to four-stroke engines, and they are lighter and can produce a higher power-to-weight ratio. For these reasons, two-stroke engines are ideal in applications such as chainsaws, weed trimmers, outboard motors, off-road motorcycles and racing applications. 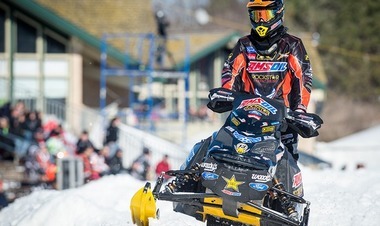 Two-stroke engines are also easier to start in cold temperatures, making them ideal for use in snowmobiles. Four-stroke engines, on the other hand, produce more torque at lower rpm, generally providing greater equipment durability than high-revving two-stroke engines, while also providing greater fuel efficiency and lower emissions. For these reasons, four-stroke engines are ideal in applications such as motorcycles, ATVs and personal watercraft. Four-stroke engines are lubricated by oil held in an oil sump. The oil is distributed through the engine by splash lubrication or a pressurized lubrication pump system; these systems may be used alone or together. Splash lubrication is achieved by partly submerging the crankshaft in the oil sump. The momentum of the rotating crankshaft splashes oil to other engine components such as the cam lobes, wrist pins and cylinder walls. Pressurized lubrication uses an oil pump to provide a pressurized film of lubricant between moving parts such as the main bearings, rod bearings and cam bearings. It also pumps oil to the engine’s valve guides and rocker arms. Two-stroke engines collect some oil beneath the crankshaft; however, two-stroke engines employ a total-loss lubrication system that combines oil and fuel to provide both energy and engine lubrication. The oil and fuel are combined in the cylinder’s intake tract and lubricate critical components such as the crankshaft, connecting rods and cylinder walls. Oil-injected two-stroke engines inject the oil directly into the engine, where it mixes with the fuel, while pre-mix two-stroke engines require a fuel-oil mixture that is combined before being installed in the fuel tank. In general, two-stroke engines are known to wear more quickly than four-stroke engines because they don’t have a dedicated lubricant source; however, high-quality two-stroke oil significantly reduces engine wear. AMSOIL provides a full line of premium synthetic two- and four-stroke oils that provide outstanding protection and performance for recreational and work equipment. AMSOIL Synthetic 2-Stroke Injector Oil offers the convenience of one formula for the tough conditions of all two-stroke recreational equipment. It is tested and proven to minimize wear and deposits that can damage internal components. AMSOIL Synthetic 2-Stroke Injector Oil provides quality and affordability for cost-conscious enthusiasts who want the benefits of synthetic two-stroke oil. INTERCEPTOR Synthetic 2-Stroke Oil is specifically designed for maximum performance in all makes of two-stroke snowmobiles, including Ski-Doo*, Polaris* and Arctic Cat*, helping enthusiasts spend more time riding and less performing maintenance. It is compatible with nearly all other two-stroke oils, while its low-smoke, low-odor properties help ensure riders won't be "smoked out." 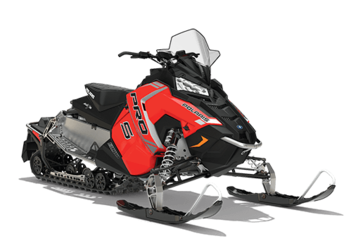 INTERCEPTOR is engineered to be pushed as hard as the sleds it protects. SABER Professional offers outstanding protection and performance at lean mix ratios referred to as the SABER Ratio™. Using the SABER Ratio eliminates the need for mixing different ratios for different equipment, while smoke is virtually undetectable. With AMSOIL SABER Professional, there is no compromise. It saves time and money while delivering the ultimate convenience and engine protection. Specifically designed for outboard motors, Outboard 100:1 Pre-Mix Synthetic 2-Stroke Oil contains a heavy dose of low-temperature dispersant additives that excel at reducing varnish, carbon and deposit formation in water-cooled motors. Its low-smoke, low-odor, low-toxicity properties produce fewer emissions at 100:1 mix ratios than oils mixed at 50:1, benefitting operators and the environment. Is formulated to prevent "oil loading" and plug fouling for rapid throttle response, making it ideal for trolling motors. Provides superior protectionand performance for enclosed chains and gears found in snowmobiles, ATVs and general equipment. Formulated with extreme-pressure additives, it helps extend chain and gear life through increased wear protection. AMSOIL Synthetic Chaincase & Gear Oil repels water, while also inhibiting rust, oxidation and foam. Its low pour point ensures superior low-temperature starting, reducing drag to deliver maximum power. 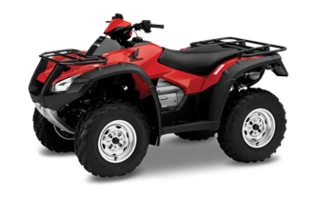 AMSOIL Formula 4-Stroke Power Sports Synthetic Motor Oil is specially formulated for ATVs, UTVs, snowmobiles and other powersports applications. Its broad viscosity range and wax-free formulation make it excellent for use in both hot and cold temperature extremes. Is an extreme-temperature lubricant that provides outstanding performance in high-performance, recreational or work/utility engines. AMSOIL Formula 4-Stroke 10W-40 Synthetic Scooter Oil is formulated specifically for four-stroke motorized scooters. Its exceptional shear stability provides consistent viscosity protection and additional protection for transmissions and gearboxes, while its friction-modifier-free formulation ensures wet-clutch compatibility and smooth clutch operation. A special anti-corrosion additive package provides long-term protection during periods of inactivity and storage. AMSOIL combined its extensive experience formulating high-performance synthetic lubricants with the engine-building expertise of Briggs & Stratton® to develop an oil specifically designed to help racers elicit the most horsepower and longest life from their engines. Synthetic 4T Racing Oil is proven in the lab and on the track to provide increased performance in kart, junior drag, quarter midget and other racing applications. It offers benefits other oils simply can’t match. I'll share my personal experience on being an AMSOIL dealer, and answer any questions you may have! AMSOIL guarantees the performance of its products, so you can be confident they perform as advertised. 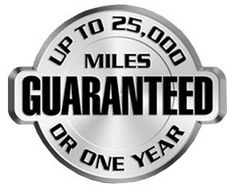 You can also be confident that using AMSOIL synthetic lubricants or practicing extended drain intervals will not void your new vehicle or equipment manufacturer’s warranty.